We threw a simple party, which you got a sneak peek of last week. 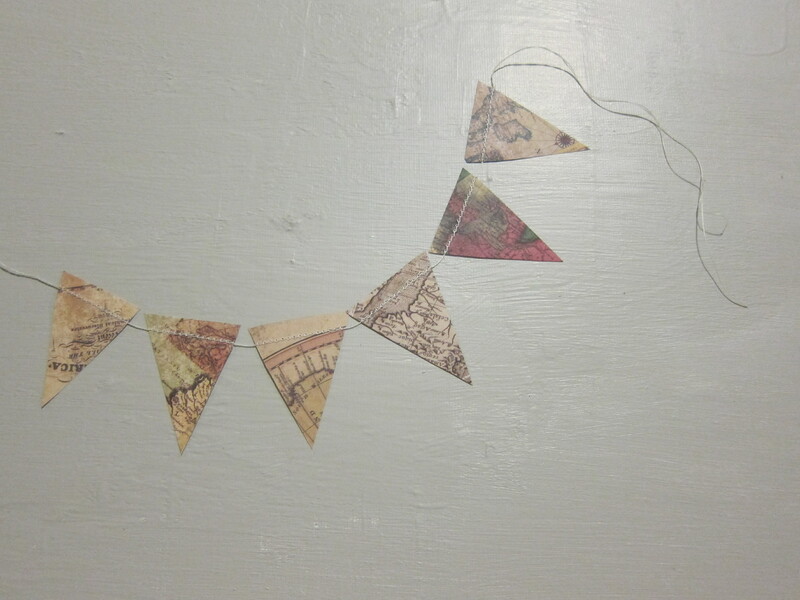 I went a little crazy with the paper crafts and made a paper chain and paper bunting out of two-sided antique map scrapbook paper. 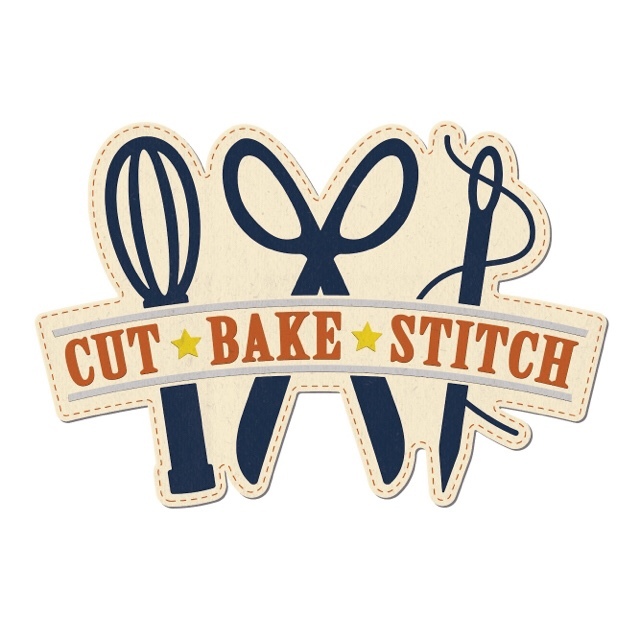 -I have a fancy paper cutting machine that helped ease the process, but you could easily cut with scissors. -Cut your scrapbook paper into isosceles triangles. That’s the fancy way of saying cut them in the shape of a pennant. 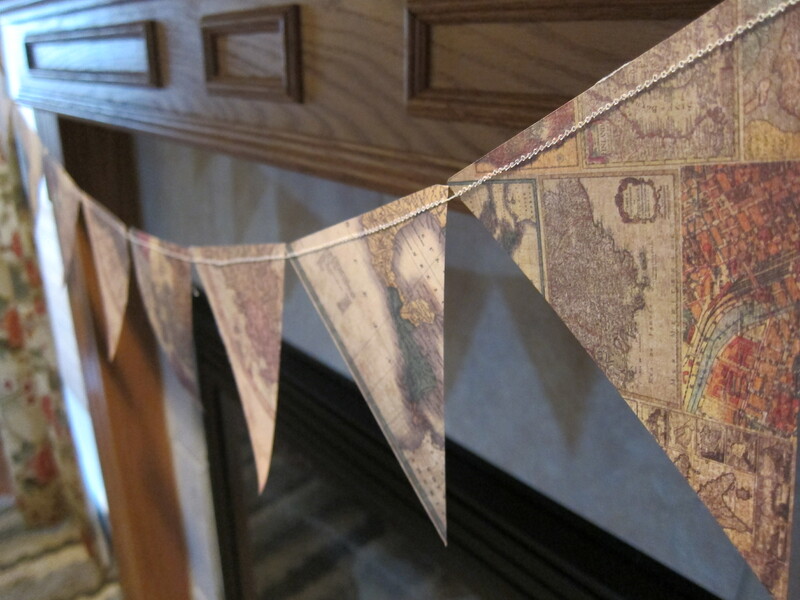 -Determine the length of your bunting by either laying out the papers or measuring the short side and doing some quick math to figure out how many triangles you need to make the length bunting you want! I can tell you I didn’t measure anything. I just grabbed a pile of cut triangles and stitched away until I got to the end of my pile. I divided my cut triangles into three uneven piles. 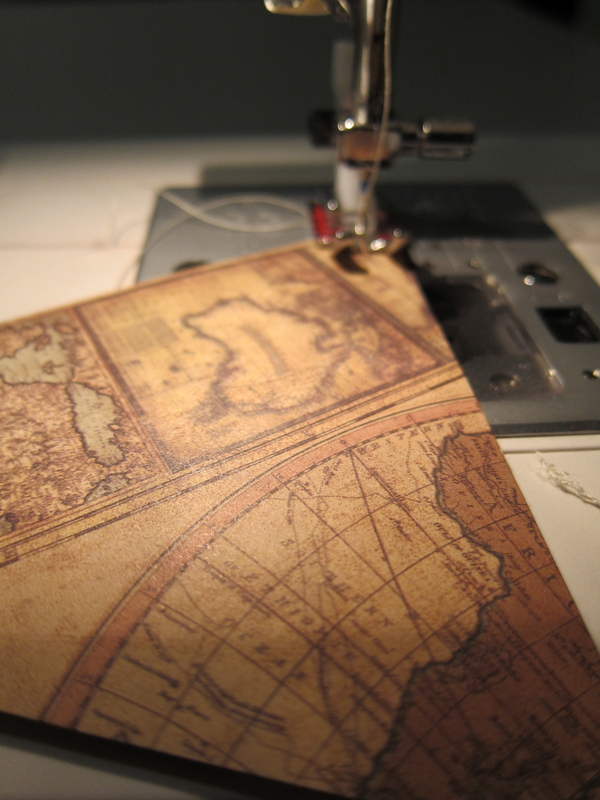 -Prepare your sewing machine with the appropriate thread and bobbin and start sewing! I didn’t adjust anything on my machine and it turned out great. 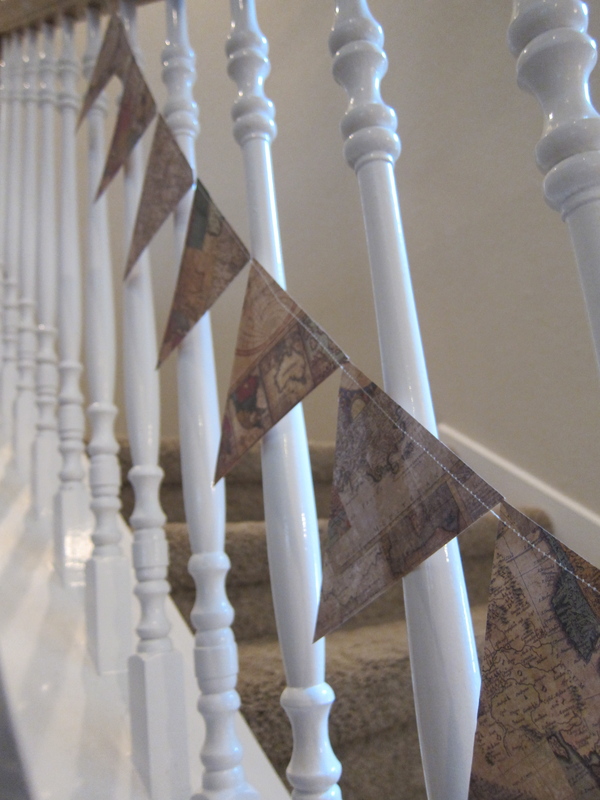 Hint: Leave a trail of thread at the start and end so you can tie the bunting or tape it to let it swag. Extra! I made a small paper bunting to swag across my cake. Just follow the above directions on a smaller scale! Too cute! The paper chain is super easy. We all made these as kids, right? I just cut my 8 x 8 paper into 1 inch strips. I looped each piece through the previous and stapled the overlap. Once again, make these as short or as long as you’d like! I found the 1 inch width to be perfect! Too fat and they don’t move or bend easily. 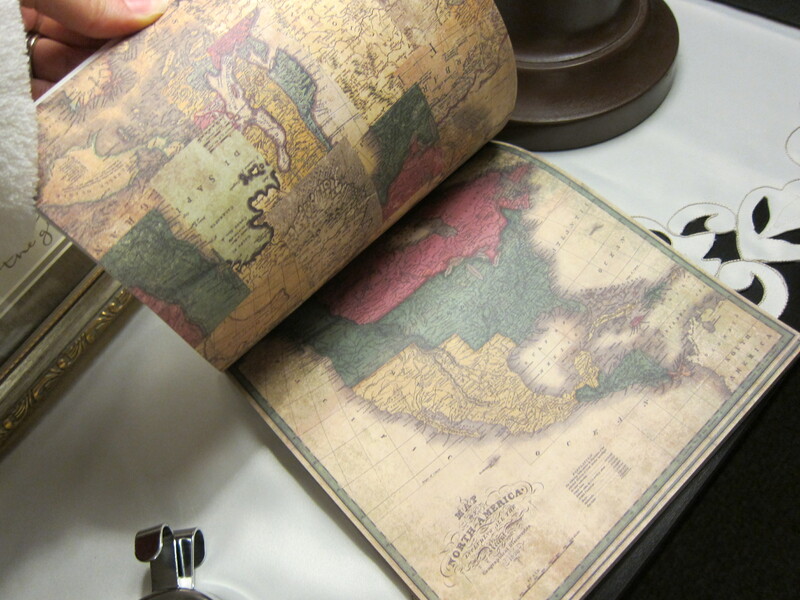 where did you find the map scrapbook paper? A friend found it at Hobby Lobby. I can look up the brand when I get home if you’d like the name! That would be wonderful! Thank you! 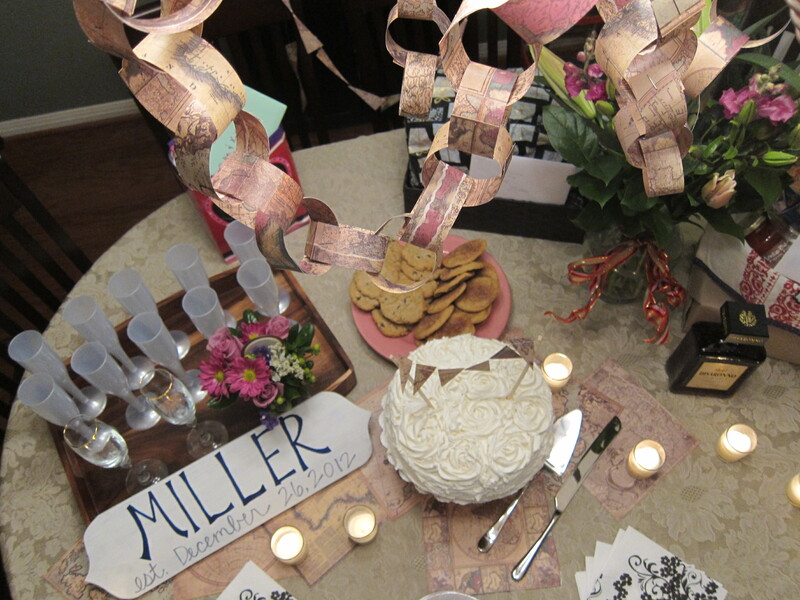 I’m doing a map theme for a work dinner, and that paper would be perfect! Oh, I found it online! It’s called Global by 7 Gypsies. Good Luck with your work dinner!